Conal Creedon’s latest novel unfolds a tale of a cleric’s unrequited love for a nun – although they only met once, in 1970, on the night that Dana won the Eurovision. Earlier this month, I sat down with someone who I feel lucky to regard as a truly inspiring literary presence in our humble city, and more than just that – he’s a good friend, too. When I chatted to Conal Creedon, well, he was the same as ever – adorning his characteristic ox-blood Doc Martens and navy wool coat, all he was missing was his Dogeen. 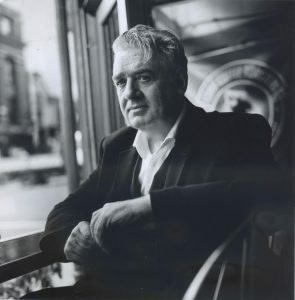 Conal is nothing short of a true icon of the Cork literary scene, and of Ireland, represented both at home and abroad. He’s is the author of several novels, plays, and documentaries; works that have risen to high acclaim across the world, from Shandon to Shanghai. Some of these titles include novels Pancho and the Lefty Ride Out, Passion Play, which received the title of BBC Radio 4 Book of the Year, as well as his latest novel, Begotten Not Made. His plays have been recorded by RTÉ and the BBC, and have been staged in Ireland, New York, and China. 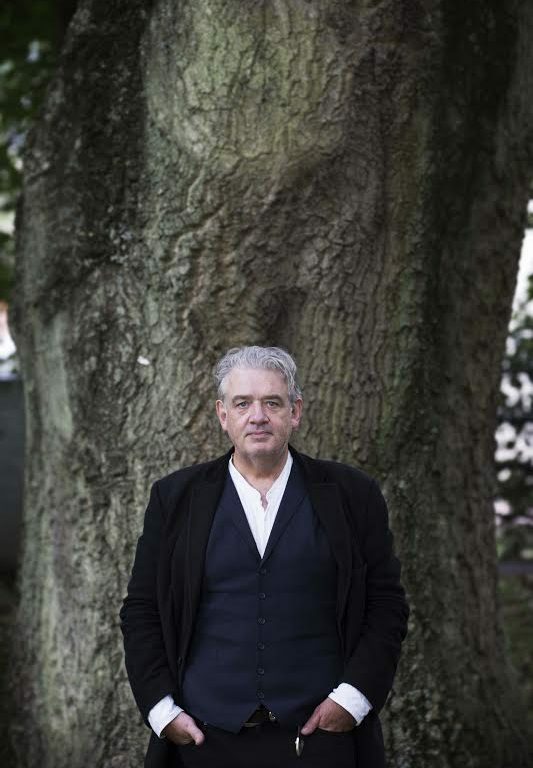 His works have been translated into several languages, and he currently holds the position of Adjunct Professor of Creative Writing at UCC, and was UCC Writer in Residence in 2016/17. It’s been over 50 years since the pair first met – back in 1970, the night of Dana’s victory in the Eurovision Song Contest. As the others await the lucky words Irlande – douze points with bated breath, Brother Scully and Sister Claire first meet, and have a conversation which Brother Scully remembers fondly to the present day. At the end, the book is really set in that one hour, a feature reminiscent of Joyce. Confined by the walls of their respective convent and monastery, the pair may never meet again. But their daily ritual of flashing their lightbulbs across the walls to greet each other as dawn moves to dusk ensures their somewhat intangible love develops into a life-long partnership, however unconventional it may seem. 50 years later, Brother Scully now comes to question whether he should have done or said something more all those years ago. In such a way, the fact that the novel’s protagonist is a priest in many ways is necessitated by the novel’s message – belief in something intangible, but belief in love, and to love without regret. The novel being situated in a monastery was central to that message of belief, but not necessarily predicated by questions of religion in an outward sense – apart from one pretty arguable hypothesis from Brother Scully as to the true paternity of Jesus Christ. The biblical theme is something that features in several of Conal’s other works. Perhaps the novel might bear a certain relevance to recent events in Ireland that have instigated rejections of our society’s religious past, but Begotten Not Made refrains from producing any kind of major commentary on such issues. At heart, the book simply concerns ordinary people, with ordinary questions, living ordinary lives – “they’re just another community”, Conal remarks. Growing up, Conal explains that he was fascinated by the large groups of people that did go into religious orders, something that as a child he remembers as being somewhat “glamorous” in the context of a poorer Ireland. Brother Scully at one point notes that in taking a vow of poverty, he never thought he would become a man of means. Indeed, Conal remembers the young Christian Brothers of the North Monastery as somewhat of a spectacle – “they would always have pressed shirts and shined shoes”, but in their vows, had to “miss out on a whole lot of living”. “In some ways, Brother Scully and Sister Claire would’ve joined at a time when these religious institutions were more omnipresent and omnipotent, more-so than they are now … I wanted to present the humanity in an institution, or way of life, that is perceived very differently now … the narrative came sometime after that”. Begotten Not Made is incredibly nuanced in that sympathy – Brother Scully is developed far beyond the definitions of his profession, beyond the collar, he is intellectual, emotional, sensitive, and troubled. Such nuance is explored intricately in Conal’s classic, conversational style, ranging from profound humour to tinges of sadness, and airs of dark comedy. It’s been nearly twenty years since the release of Conal’s last novel Passion Play – not that he took any kind of a break in the interim. He very much thanks his time as UCC Writer in Residence for “re-focusing where [he] was going”. “When I started in UCC, the students really gave me the bug to get writing again. It re-focused where I was going. Over the last few years I was touring plays that I had written, and I realised, this is what I should be doing, I should be writing again. Being part of UCC gave me the space and environment that I needed to realise that.” I was lucky enough to be part of Conal’s writers’ group during that year, something we both remembered fondly. The anthology Cornerstone which we published at the end of the year solidified what an encouraging experience it had been for all involved. 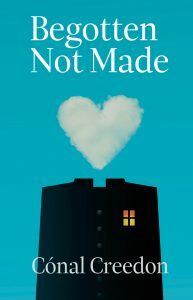 Begotten Not Made is available now to purchase in print or Kindle edition from Amazon UK, or from Waterstones, Cork.